If you know an adult you can you can trust, someone like a school teacher or guardian, you can tell them that you are unhappy and explain what is worrying you. They will be able to help you. If you don’t feel that you can talk to anyone you know, there is advice here to help you find the right person to share your worries with. To do this quickly and easily, download the Mind of My Own app. This will get messages to social workers and other staff very quickly. Devon County Council is signed up for this. Thinkuknow will give you information about websites and internet safety, what’s good, what’s not and what you can do about it. There’s also a place where you can report things you feel uncomfortable with or if you are worried about someone you are chatting to online. All the information here is brought to you by the team at the NCA’s CEOP Command. NSPCC is a charity that works to keep children and young people safe. Call 0808 800 5000 if you are worried about your own safety or someone else’s. You can contact them for advice and support. They can take action if a child is in danger. If you or someone else is in immediate danger call the Police 999. 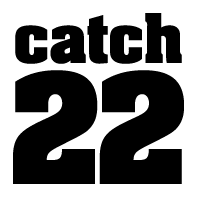 Catch 22 has a 24 hour confidential helpline you can call which gives advice and support to young people who have run away. Call 0800 168 9698. NYAS now has an online chatroom. Why not talk to one of their trained and experienced advisers? Simply click on the advisers name as it appears on the link. Then type in your question or say what is worrying you. The adviser will reply straight away unless there is a queue when there may be a short delay. This is a confidential service as long as you (child, young person or vulnerable adult) are safe. Contact details for Youth hub senior youth workers at youth centres across Devon.